1. I think the fog was a smart way to disguise bad footwork. Peta in the Mist was pretty cool too. 2. Sean picks up Peta like she weighs 12 pounds. I’m adding that skill to my dating bucket list. 3. He looks good in lavender. He’d look better shirtless. 5. 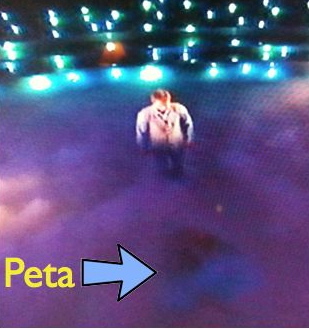 Sean pulled Peta across the floor while she was down in the splits. I think I can totally do that. 1. Victor’s back tat is sweet. 2. Mark Ballas suffers from Baby Talk Syndrome. 3. Zendaya suffers from Adorablitis. 4. Val is my favorite Chmerkovskiy. 5. If Chris Harrison wasn’t in my life, Tom Bergeron would be my preferred host. I actually remembered to tune in tonight!! I was impressed with Sean. I was also thankful his dance was first, so I could flip back over to Usher ‘s adorable smile. Is it weird or wrong that I really would love to be karina smirnoff for a day? I think Sean is an awful dancer, you can see him mentally counting steps each time he is on the dance floor. Love Kellie Pickler, what a cutie and very talented. Sendaya is adorable and one of the best dancers. I thought Sean did well last night but his score wasn’t as good as I thought it would be. I love Val and Zendaya – I like him this year now that he’s not gushing all over his partner like last year. Did anyone notice Catherine’s facial expression after Sean kissed her? I suspect there may be trouble in paradise…even my husband looked at me and said “she oesnt look too happy” and she wasn’t sitting with Sean’s family. I noticed it too! She didn’t look happy or in love; there was no “sparkle” at all. And why wouldnt she be sitting with Sean’s family? It was a mistake to go on DWTS if they really wanted this relationship to work. PS An additional thought, I can think of no better time than your twenties when you are the most full of yourself, we are all guilty of it…you feel invincible….getting old and aging seems like light years away….it’s a great time in your life….so it is easy to get caught up….just sayin…. Catherine was later moved (possibly with Sean’s parents or other guests). Jacoby’s mother & girlfriend seemed to be sitting in the same place as Catherine was. Zendaya makes me glad I don’t have teenagers. And I noticed the same awkward thing after Sean and Catherine kissed. Compare that to Pickler and her husband kissing – just saying. And I had to roll my eyes when they showed the photo (again) of Sean in his footie pajamas. Red flag, red flag! please tell me you’re going to do recaps of Ready for Love that premieres tonight. I loved Sean when he was on The Bachelorette and thought Emily made a big mistake letting him go. Then he became the Bachelor and overall, I was still impressed with his maturity, his integrity and especially his family!! But now on DWTS, he doesnt even seem like the same guy. I’m picking up some gay vibes and definitely noticed the awkwardness of his kiss interaction with Catherine. She was NOT into it. 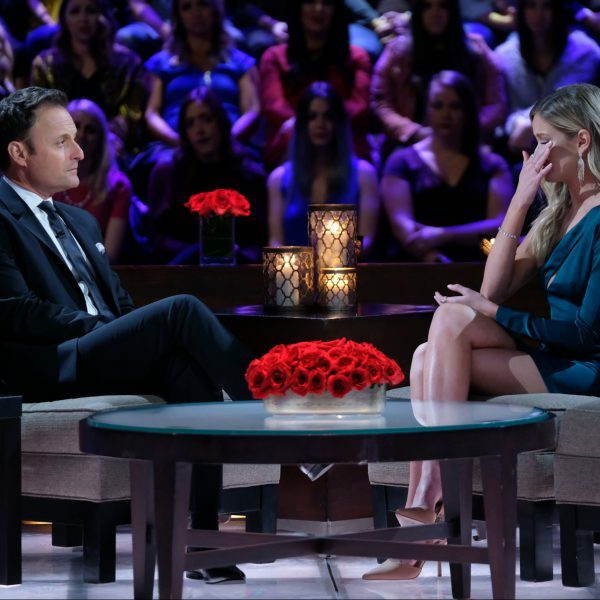 I thought even during The Bachelor that Catherine was self-conscious and very uncomfortable with on-camera displays of affection. I definitely agree that she was very uncomfortable with that kiss, but I’m not sure whether it was because of her (lack of) feelings for Sean or her general discomfort about kissing on camera. Sean doesn’t like it either – PDAs. i was totally checking in to see if you were blogging ready for love!!!! totally abach spinoff—with some weird twists although that guy last night was a cutie. 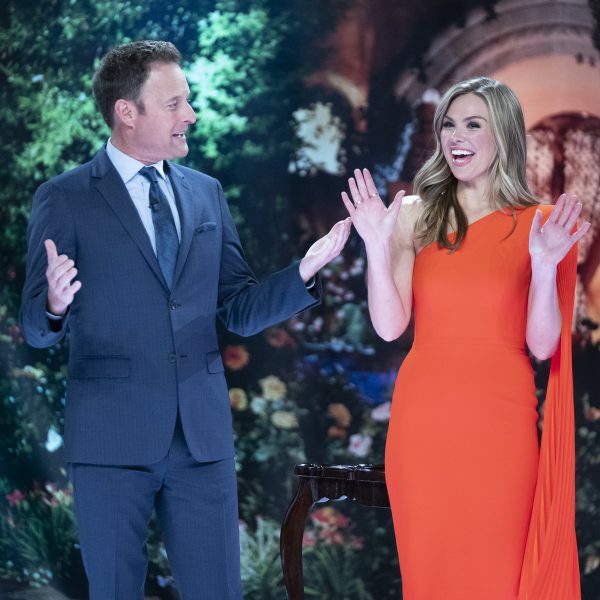 please please lincee blog about it we need our dating show fix until may 20th….